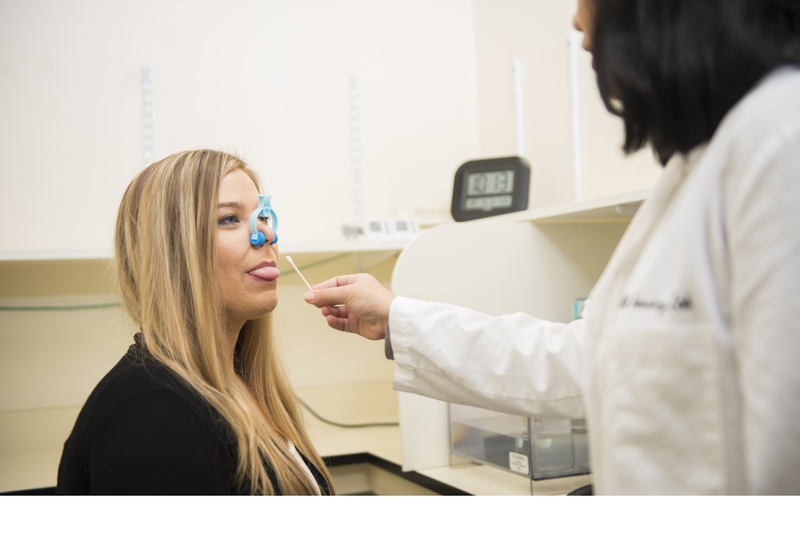 Sensory Testing – Oregon State University – Center for Sensory & Consumer Behavior Research « A full service sensory lab that can conduct the tests you need to help you make informed choices: acceptance, preference, focus group, descriptive analysis. The Center for Sensory & Consumer Behavior Research is an internationally recognized, non-profit research center. Our center is specialized in conducting basic and applied research, providing customized sensory testing services to food and greater consumer product industries, and educating future sensory professionals. Become a tester — Fill out our short questionnaire to become a taste tester today! A Sense for Starch – read up on our lab’s current research in the latest edition of Terra Magazine! Congratulations Dr. Lapis and Dr. Lim for your media coverage on your publication!